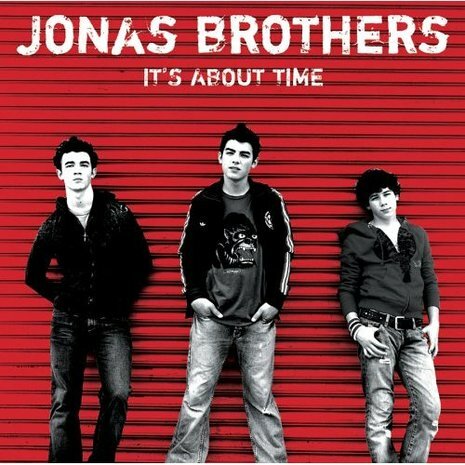 "Mandy" is the first single from the American pop band Jonas Brothers from their debut album It's About Time. It was released as a single on December 27, 2005. The song had a 3 part video and made it to #4 on TRL. The song was written about a family friend named Mandy, who was taught sign language by their mother so she could help the hearing impaired. Mandy is Joe Jonas' former girlfriend, and continues to be a close family friend. This song is also featured on Zoey 101: Music Mix, soundtrack to the show, Zoey 101. On the iTunes store, the artist name is "Nicholas Jonas", but it is supposed to be the whole band, "Jonas Brothers". It is the first song when Kevin sings solo. Another interesting fact to note is that the Jonas Brothers performed this song as part of their original audition tape for the Disney Channel back in 2006. 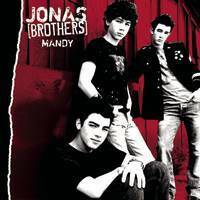 The Jonas Brothers' first single, "Mandy", was released on December 27, 2005. Its music video was shown on MTV's Total Request Live on February 22, 2006 and reached number four. Another song, "Time for Me to Fly," was released on the Aquamarine soundtrack, also in February. In March, "Mandy" was featured in the Nickelodeon television film Zoey 101: Spring Break-Up and the Zoey 101: Music Mix soundtrack album, with Nicholas Jonas listed as the artist name. The group's music was also featured on Cartoon Network's Cartoon Cartoon Fridays. The band covered "Yo Ho (A Pirate's Life for Me)" from Pirates of the Caribbean for the DisneyMania 4 album, released on April 4, 2006. Over the summer of 2006, the Jonas Brothers went on tour with Aly & AJ. The Jonas Brothers also created the theme song for the second season of American Dragon Jake Long, airing from June 2006 to September 2007 on the Disney Channel.